Pretty much everyone at VBC HQ is a full-on Chicagoland Vampires fangirl. 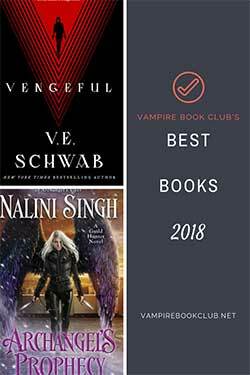 Chloe Neill’s urban fantasy series has grown over time, and with each new installment Merit, Ethan Sullivan, Mallory, Catcher, Lindsay, Jeff and the rest of the crew became dearer to us. As Blade Bound, the final installment in the series, hit shelves yesterday, we had to catch up with Chloe and get the lowdown on what’s next—hello, spinoff—snacks, YA books and more. VBC: Are there any Chicago foods/locations that you wanted to feature in a Merit book but didn’t get a chance to include? available in Chicago, from Greek to Mexican to Malaysian. 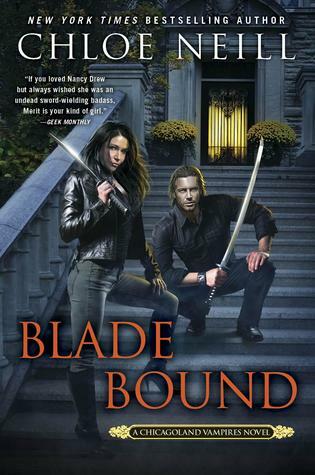 VBC: What was the experience writing Blade Bound, knowing it would be the final Chicagoland Vampires book? Did you know when you started that you were going to spinoff the series? VBC: Looking back on the series, now that it’s completed, what was the most difficult thing to write (i.e. a certain character, plot twist, an entire book, etc.)? Chloe Neill: There are things in the CV series I’m really proud of, and things I wished I’d done differently. While I’m really happy with HARD BITTEN, I wish I’d handled the “come back” in DRINK DEEP a little differently. I wish the timeline for that book had given Ethan and Merit a little more opportunity to relish his return. VBC: We loved Dark Elite. Do you have any plans to return to YA in general or to those characters? We would be all over grown up Scout. VBC: Any details about the spinoff series (other than read Blade Bound to find out) that you can share? Chloe Neill: The Chicagoland Vampires series will take place . . . in Chicago! 😉 You’ll have to read BLADE BOUND for the rest. But I will say this—don’t peek at the announcement until you’ve read the book! Enter to win a copy of Blade Bound and a Chloe Neill swag pack. Just fill out the Rafflecopter form below for your chance! I have loved this series so much and am so bummed to see it end. But I’m also looking forward to whatever Chloe Neill has planned to come up next. So I’m trying to take in the good with the bad. Merit and Ethan will always be in my heart. I loved Methan’s HEA! I will miss them and their adventures. This series will be missed.Oh but the anticipation of what is to come is so exciting! It might not have been super varied but I always loved all the food references in this series. I want to visit Chicago someday just to try eating all this stuff! Thanks for the interview and the great answers. You’ve made me a happy reader :). Great interview. Cool cover.Thanks for the giveaway. Terrific series! Thank goodness there is a spin off. Thanks for the giveaway. 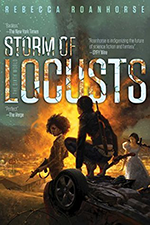 I haven’t read this last book yet, but I know I will miss MEthan! Thank you for this great opportunity. This is one of my all time favorite series and I am so sad that I have to say goodbye. Crushed this series is ending, but im seeing chatter of a spin off series. Cool ! I have to so catch up on this series. I read books 1-7, so I have still 6 books to read! Enjoyed reading the post. Can’t wait to read the spin off series. I have loved this series and am sad it’s over. METHAN. You will be missed! Spent the last week and a half re-reading so I could finish book 13 and it was great! Can’t wait till the spin off!